Murray E Kirkus Reports On The Recent Weekend Eight At Mandeville. Callum Turrell Attends The Recent Airshow Nz At Ardmore And Discovers That Admitting One Has An Addiction To Airborne Bits Of Aluminium Burning Refined Fossil Fuel Is Only Half The Battle. Having Seen Some Of The Northern Territory In The Dry Season, Rob Neil Jumped At The Opportunity To Revisit In The ""Wet"" To Spend Some Time With The Air Wing And Write An Article On Their Operation. 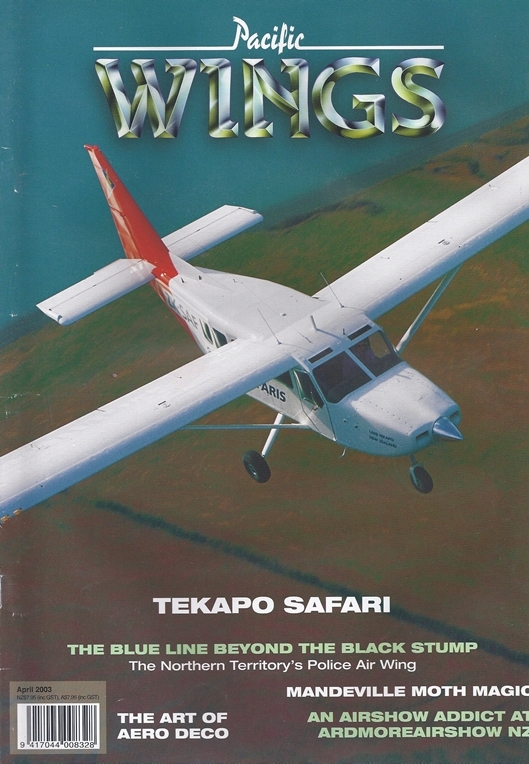 Flying A Fleet Of Nine Aircraft From Tekapo Aerodrome In The Mackenzie Country, From Where They Have Operated For Almost 30 Years, The Name Air Safaris And Services Is Synonymous With Tourist Aviation In The South Island. Murray Hudson Spoke With Managing Director Richard Rayward And His Staff About The Company, Its Recent Purchases, And Its Future.